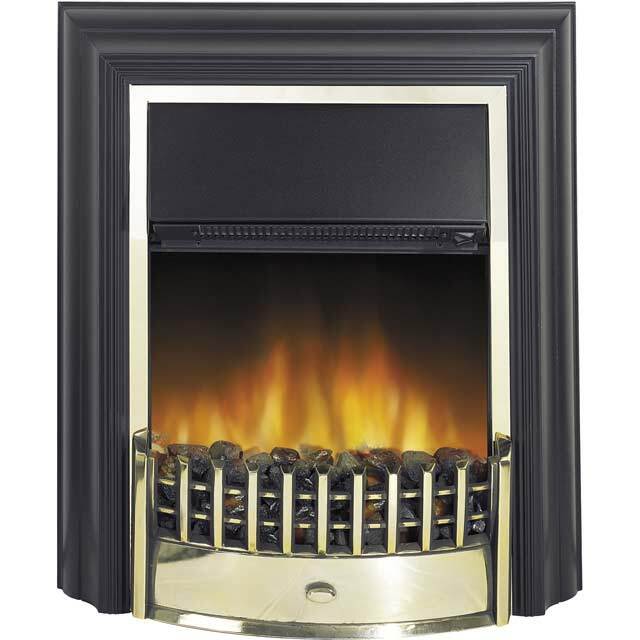 Keep your home cosy with this great freestanding fire from Dimplex. It uses clever Optiflame® technology to create the illusion of real flame, while the coal effect fuel bed ensures an authentic and inviting ambience. Thanks to the 2000 Watt power input, you’ll have no trouble staying warm on the chilliest of nights and with 2 heat settings to choose from, you can always find the perfect temperature. And if you want to enjoy a welcoming atmosphere throughout the year, the flame effect can also be used independently without any heat. Looks great, performance is great; a fantastic choice. Highly recommend by us. Checked several sites so.com was the cheapest it was out of stock when tried to place a order but soon as the fire was back in stock got a email that is what is great service.Will be using them again. Product arrived on time and on date specified. Easy to assemble, and works a treat. Love the idea that do not have to get up and adjust the heating, as it is operated by remote control. Keeps the room warm and comfortable for hours on end. Would definitely purchase one again if the need arises. great looking fire, cosy looking flame effect for these winter evenings, really happy with this product.